A reminder to all our candidates who would like to start school on 2nd of March, that we need the enrollment forms by next week. For over thirty years I've been self-employed in the field of furniture development/interior design and the furniture located therein (construction and manufacturing). With a lot of heart, lust and enthusiasm I practise my profession. For me it harbours many challenges and when it's going to be ambitious or tricky, then it is just right. My main field of activity lies in the development or construction in relation to the respective requirements of the design. I'm developing furniture and furnishings for everyone, for my peers from interior design too. Due to a well-founded network of specialists in industry and crafts I'm able to produce excellent quality to absolutely acceptable prices. This is only a brief survey of my activities. The company's furniture and design MODULNOVA Srl was founded in 1988 under the leadership of the Family Presotto, already active in the furniture industry since 1949. 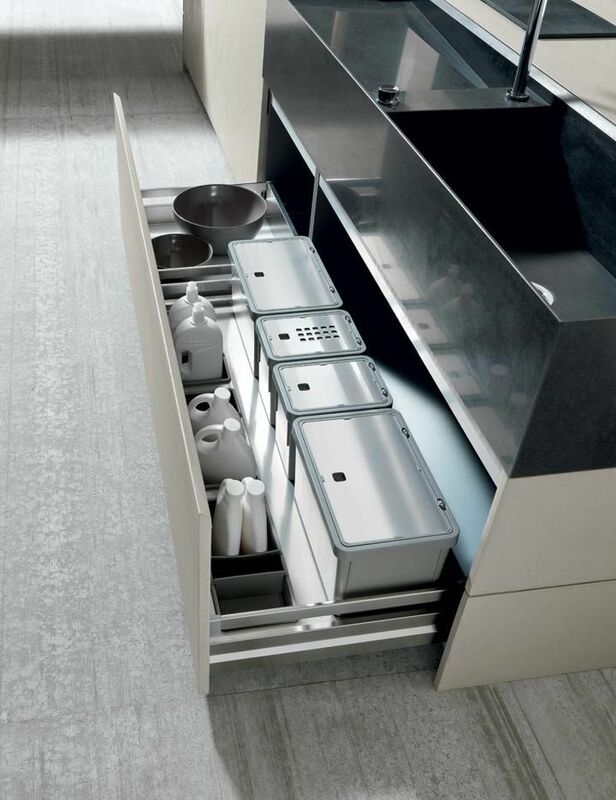 The company's mission is to produce Kitchens Design and furniture always innovative in the materials and production systems, and, for our modern kitchens , the promotion of a creative design with clean lines. 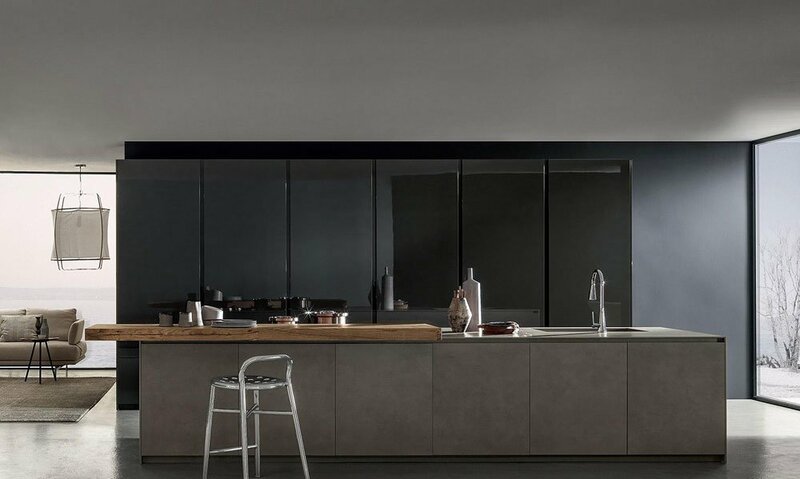 The designer kitchens Modulnova are designed with utmost care and attention to detail, finishes, accessories and assembly, in order to create valuable products. Sophistication, style and elegance are always the designer kitchens and trademarks Modulnova Kitchens, Bathrooms Modulnova (created in 2000) and md HOME, new line launched in 2011 and dedicated to the living area. The core business of MODULNOVA will remain the Kitchen Design from the beginning know that furnish the newspaper with a contemporary feel through new visual solutions, satisfying any desire. Collections of Modern Kitchens Modulnova are the result of years of technology innovation, research and development in order to propose a new design and furnish the everyday environment with style and contemporary. 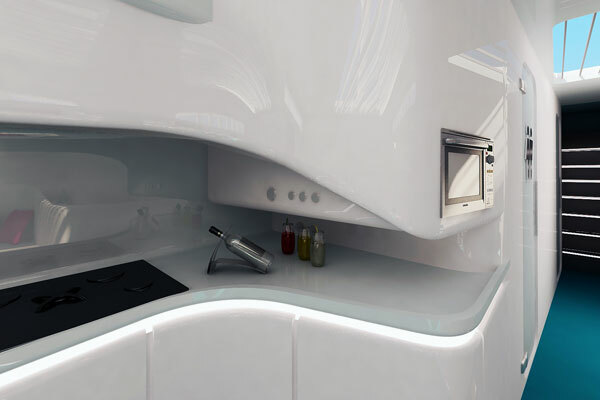 Using trim resin cement also allow the creation of modern kitchens prestigious aesthetic, without neglecting the functional aspect and away from distractions, necessary for the kitchen space. 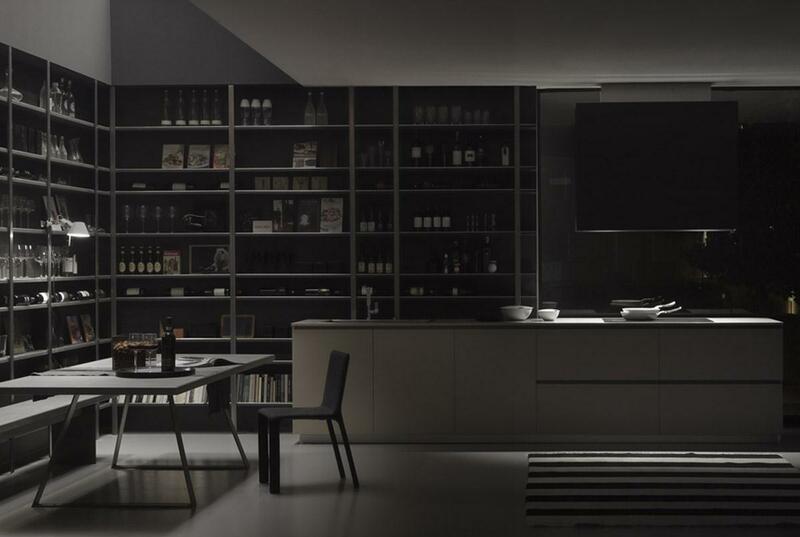 The new order and functional kitchen design offer new visual solutions: the volumes parallel straight lines, the synthesis of the complete new design geometries. 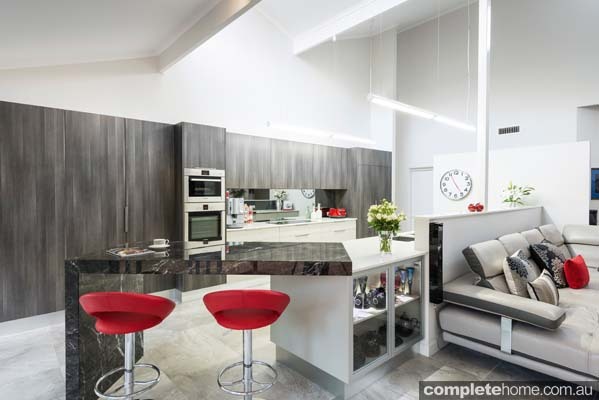 The wall to the column, which opens completely, houses the most modern equipment and opposes the central island, which is also equipped, home to the work area and the bar. The walls are opposed to each other functionally and structurally: on one hand the large library open and modular, and on the other the wall equipped destined to the containment. The project stems from the desire to create a kitchen environment by design minimal, friendly and extremely functional: everything in its place, everything in geometric rigor absolute. 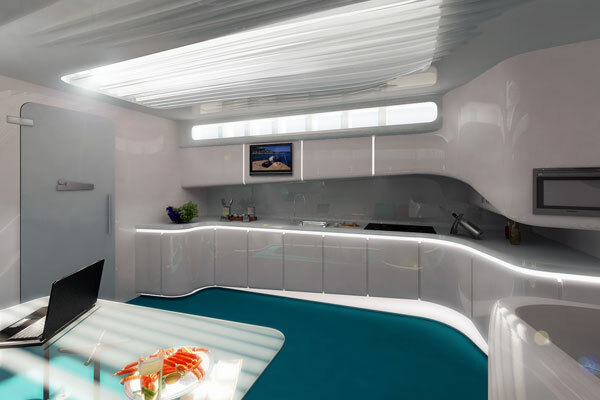 Combining fluid contours and reflective, polished surfaces, this concept yacht interior by designer Adelina Popescu reflects the natural beauty in the shapes and textures of the ocean environment. 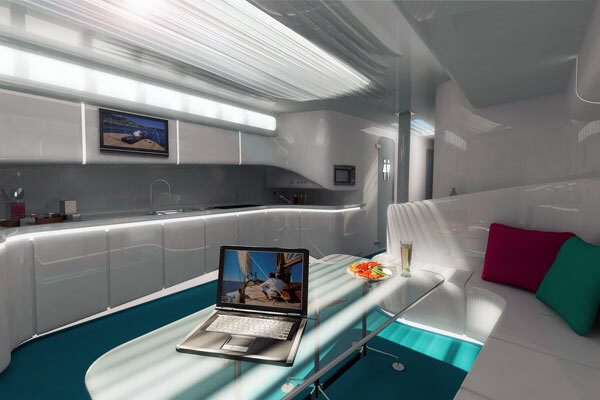 Aquatic blue reflects in glossy finishes adding to the oceanic theme, while creative use of embedded linear LED lighting highlights the overall space while providing relief from the wavy interior. 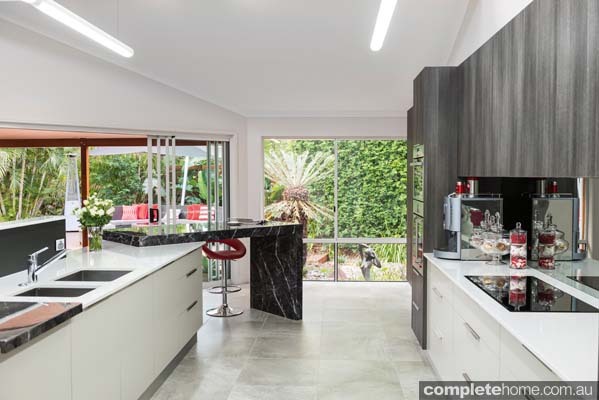 “You can tell at first glance that this combined kitchen, dining and living area is the heart of the home. 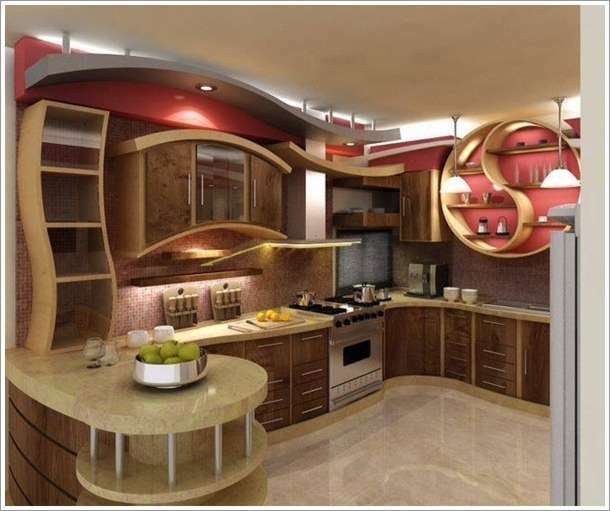 All the key aspects of family living were considered throughout the design. 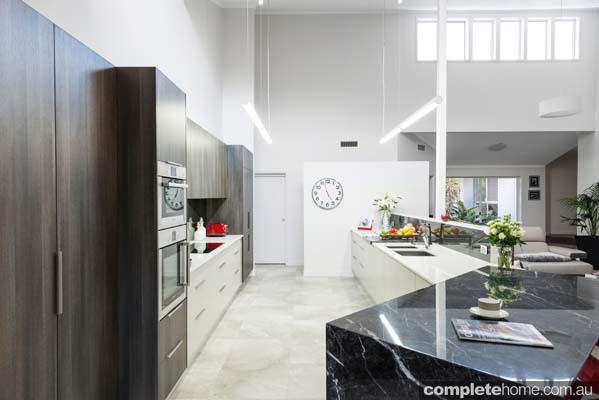 The Grigio Carnico marble island has been added to the essastone kitchen benchtop to help differentiate the cooking and dining areas, while the wall partition on the opposite end creates a unique feature that still allows access and flow throughout the home’s hub.